Mizzou basketball senior guard Marcus Denmon (Kansas City, Mo.) has been named to the John R. Wooden Award Midseason Top 25 list, as announced by the Wooden Award National Advisory Board on Tuesday (Jan. 17). The list is made up of 25 student-athletes who, based on their performances in November, December and the beginning of January, are the frontrunners for college basketball’s most prestigious honor. 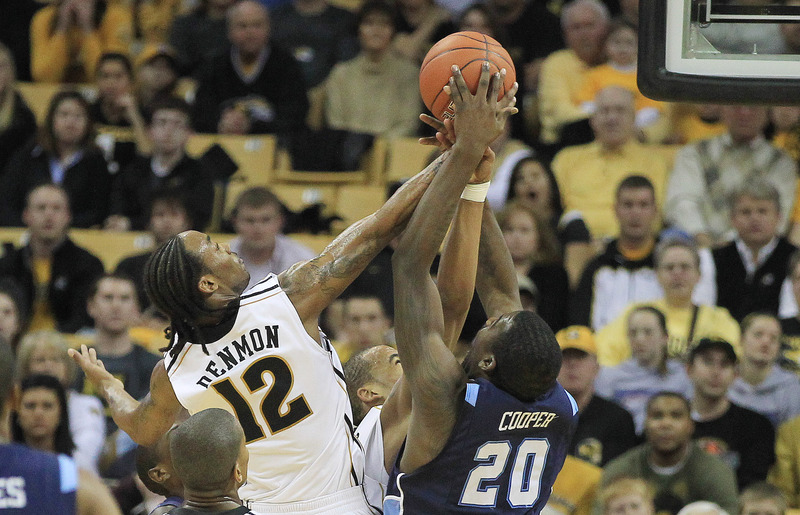 Denmon is leading the Tigers this year, averaging 17.8 points per game and has been a key reason why the Tigers have climbed to No. 5 in both the AP and ESPN/USA Today Coaches Poll, the team’s highest rank this late in the season since 1990 when the team was ranked No. 1. Known for his ability to score from long range and finish at the hoop, Denmon is more than just a scorer. He is one of the team’s best defenders and is averaging 5.5 rebounds per game from the No. 2 guard spot on the floor. He has also dished 48 assists on the season (2.7 per game) and is third on the team with 27 steals. The Kansas City native ranks second in the Big 12 in scoring (17.8), first in free throw percentage (.924) and 3-point field goals made, and is sixth in steals (1.50) and 3-point percentage (.418). His strong defense is highlighted by his ability to lock down great scorers without fouling as Denmon has committed just 16 fouls through 18 games while playing a team-high 32.6 minutes per game.